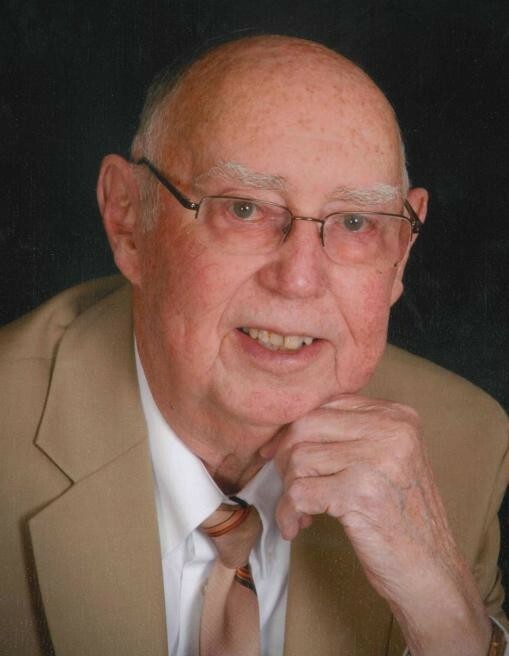 JERSEYVILLE – Robert Lee Hillig, 86, died Monday, April 1, 2019 at Christian Hospital Northeast in St. Louis, MO. He was born on January 16, 1933 in Carrollton, one of five children born to the late Francis and Dorothy (Hunter) Hillig. Robert grew up in Jerseyville, where he graduated with the class of 1950 from Jersey Community High School. After graduation, he enlisted with the United States Navy where he served our country honorably from 1950-1954. After returning home from the service, he gained employment with McDonnell Douglas, and after 38 years of service, retired in 1992 as a Flight Mechanic. He married the former Oleta Irene Crane on September 7, 1958 at the Bethel Baptist Church in Jerseyville. Together they shared in the joys of raising their three children and 39 years of marriage prior to her death on January 23, 1998. Robert and Oleta began raising their family in Jerseyville before the family relocated to California for a brief time, settling back in the Brighton community. After Oleta’s passing, Robert returned once again to Jerseyville, where he has remained for the past 20 years. Proud of his military service as a Korean War Veteran, Robert was honored to be a part the Honor Flight, a memory He was able to share with his son, and one that he truly cherished. He was a talented woodworker, and shared many handmade creations with countless people throughout the years. Robert was active throughout the community and enjoyed the time he spent socializing with his friends and family. He had a giving personality, a kind and loving heart and was the rock of his family. Surviving are a son, Mark Hillig of Jerseyville; two daughters and sons in-law, Connie and Tony Hayes of Jerseyville and Kathy and Darrin Foiles of Brighton; four grandchildren and their spouses, Brandon and Lara Hayes of Jerseyville; Lindsay and Jeff Royer of St. Charles, MO; Chelsea and Shaun Stuckey of Brighton and Josh and Libby Foiles of Noblesville, IN; five great-grandchildren, with one on the way; a brother, Charles Hillig of Pennsylvania; two sisters and brothers in-law, Lois and JR Meredith and Mary and Bill Hazelwood, all of Jerseyville; as well as a sister in-law, Betty Hillig of Murrayville. In addition to his parents and his wife, he was preceded in death by a brother, Tommy Hillig and a sister in-law, Doris Hillig. Visitation will be from 9 a.m. until time of funeral services at 11 a.m., Friday, April 5, 2019 at the Bethel Baptist Church in rural Jerseyville. Burial will follow at the Brighton Cemetery. In lieu of flowers or plants, memorials may be given to the Bethel Baptist Church.